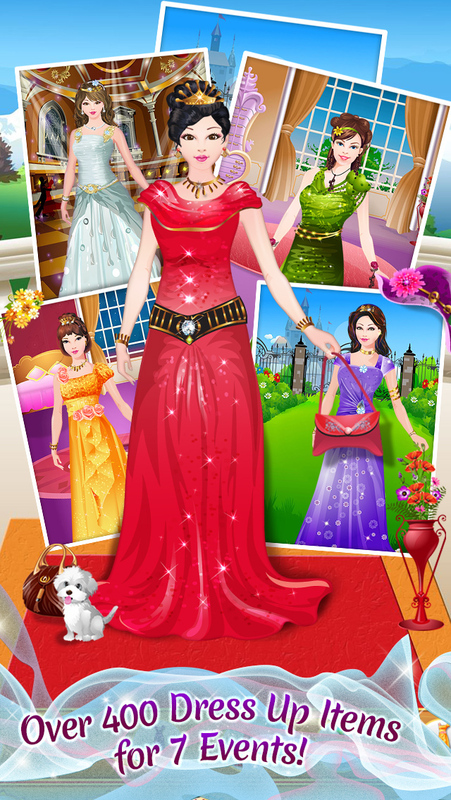 >>> Party with 7 Princesses - Dress Up & Apply Their Make Up for Royal Parties! >> Each Princess Has Her Own Special Event & Unique Dress Up Gear - Over 400 Items! Meet Emily, Olivia, Lilian, Sophia, Isabel, Katie & Natalie - 7 very hip princesses who are getting ready for their own royal events. Come join these great girls at their various parties: birthday, ballroom, dance, garden, holiday and wedding parties. Each princess comes with her own pack of groovy threads and dress up fun to coordinate with her party. Then you can make a Card and show it to your friends and family. Choose from 5 different backgrounds, add cool stickers that can rotate around the card. Save the ecards to your gallery and make more! Super fun and creative - you’ll be dressing up your divas and having a blast at all of the awesome parties. > Save to your device and photo gallery! > Choose your eCard background and border then place your princess inside to make the perfect card.